The humble honey bee is the latest reason for higher food costs. At least according to farmers, businessmen and the media. Food prices could rise even more unless the recent decline in honey bees is stopped. The decline phenomenon, called Colony Collapse Disorder, was featured in recent Congressional hearings. North Carolina farmer Robert Edwards told a House Agriculture subcommittee (.doc) last week that he had to reduce his cucumber acreage in half because of the lack of bees available to rent. Edwards grows cucumbers for the commercial pickle industry. "And as I tell my non-farmer friends, these bees are out there pollinating more than my cucumbers, they are critical for the growth of virtually everything in our food chain; because everything in this chain eats something that has been pollinated, or ate something else that was pollinated by a honey bee." Congress is looking into the impact of the reduce honey bee population due to its impact on the food supply and food costs. "If there are no bees, there is no way for our nation's farmers to continue to grow the high quality, nutritious foods our country relies on," said Democratic Rep. Dennis Cardoza of California, chairman of the horticulture and organic agriculture panel. The House Appropriations Committee approved $780,000 last week for additional research on Colony Collapse Disorder and $10 million for bee research. Final funding will require approval by both the House and Senate. The rich will ride in green style with the new 2009 Cadillac Escalade Hybrid luxury vehicle. The Cadillac Escalade Hybrid is the world’s first fuel-saving hybrid applied to a large luxury SUV, delivering a 50-percent fuel economy improvement in city driving. It is powered by GM’s innovative, fuel-saving two-mode hybrid system. General Motors also announced it will offer 18 flexible fuel vehicles (FFVs) in model year 2009. This is an increase from the past and marks the company's plan to having half their line at least E85 Flex Fuel capable by 2012. According to a GM spokeman, the models cover the gamut from the four-cylinder Chevrolet HHR small crossover to the full-size Cadillac Escalade ESV luxury utility. General Motor vehicles account for about 3 million of the 7 million flex-fuel vehicles on U.S. roadways. The company produced more than 1 million flex-fuel models in North America and Brazil last year. The price of oil topped $140 a barrel for the first time ever on Thursday with an intraday trading high of $140.4o. The record price for light, sweet crude for August ended the day at the record settlement price of $139.64 a barrel on the New York Mercantile Exchange. But all of this isn't really a surprise. We told you earlier this year about $150 a barrel predictions. As oil costs continue to climb, businesses and consumers will continue to feel the pain of higher transportation, heating and cooling costs. These costs which play a major role in most prices will be passed along in the form of higher prices for food and almost everything else. A new website, Food Price Truth.org, has entered the food debate with a new report on rising food prices. Just in time for the summer food season, FoodPriceTruth says that rising 4th of July BBQ food costs more because of skyrocketing oil prices, no biofuels. FoodPriceTruth.org released a typical Fourth of July barbeque menu that reveals why food costs are on the rise and why the average American family is paying more for items like chicken, pork, fruit salad, potato salad, beer and even plastic cutlery. The menu offers easy to understand information about why continuously rising oil prices are the single biggest reason that food costs are going up. "Everyone loves a Fourth of July barbeque, but no one loves grocery store prices anymore," said Brooke Coleman, Executive Director, New Fuels Alliance and a FoodPriceTruth.org Food Price Expert. "The biggest reason food prices are through the roof is because gas prices are through the roof. After all, the typical item at the grocery store traveled 1500 miles just to get there. Anyone who has been to the gas pump lately knows that shipping something 1500 miles is going to make that item cost more." In the last year, potato prices increased by almost 9%, despite a big 2007 harvest and ample stocks of potatoes in storage; and mayonnaise, like most other products made using vegetable oil, has increased in price as higher incomes overseas mean better diets and more vegetable oil consumption. Neither of these prices are impacted by biofuels. Blaming biofuels for rising food prices is deceptive. While ethanol has impacted corn prices, the United States Department of Agriculture and the White House Council of Economic Advisors have stated that increased corn demand is only responsible for "3 percent of the more than 40 percent increase we have seen in world food prices this year." People also forget that biofuels actually help keep food prices down. In fact, according to a report done by Merrill Lynch, biofuels have reduced gasoline and diesel prices by 16-25%. This is because ethanol is blended into gasoline and is cheaper than gasoline. Eliminating biofuels would just push up the price of gas, and thereby make food cost more. Senator Charles Grassley told reporters yesterday said that he had no choice in canceling a meeting between members of the Grocery Manufacturers Association (GMA) and himself after only one CEO agreed to attend and defend the actions of the trade association. We've previously reported about the ethanol smear campaign organized by the major food companies earlier this month, HERE, HERE, HERE and HERE. Grassley said the lack of interest by the GMA members was because they may be afraid to stand up for the policies of the Association or may not believe in the dirty tactics being used by the Association. Grassley requested the meeting with 15 CEOs of companies that are prominent members of the Grocery Manufacturers Association. The Association’s President and CEO Cal Dooley had requested his own meeting with Grassley in a letter on June 6th. 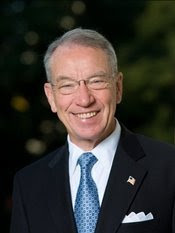 Grassley invited the CEOs of Campbell’s Soup Company, Del Monte Foods Company, Lakeside Foods, Sara Lee Corporation, Dean Foods Company, Hormel Foods Corporation, Proctor & Gamble Company, Kellogg Company, Land O’Lakes, ConAgra Foods, General Mills, Kraft Foods, Ralston Foods, Cargill and Archer Daniels Midland. Grassley has been the leading congressional voice for ethanol. He was the first to voice opposition to the smear campaign mounted by the Grocery Manufacturers Association. Grassley has also sent letters to Iowa members of the Grocery Manufacturers Association as well as the Iowa Retail Federation and the Iowa Restaurant Association. Grassley has also urged Iowans who work for GMA companies to voice their opinions. The Internal Revenue Service (IRS) announced today that they are increasing the business mileage rate to 58.5 cents per mile for the remaining six months of the year. "Rising gas prices are having a major impact on individual Americans. Given the increase in prices, the IRS is adjusting the standard mileage rates to better reflect the real cost of operating an automobile," said IRS Commissioner Doug Shulman. "We want the reimbursement rate to be fair to taxpayers." The standard IRS mileage rate is used to compute the deductible costs of operating an automobile and is also used as a benchmark by the federal government and many businesses to reimburse their employees for mileage. The rate increased at the first of the year 2 cents to 50.5 cents per mile. A mid-year change is unusual and reflects the impact that rising gas prices have on the American economy. As the high price of oil trickles down the economy, expect to see businesses continue to raise their fees to cover these new higher costs. Biofuel critics, supported by fringe groups and even big food companies, often complain that increased corn usage will take food out of the system. They like to share cartoons that show starving African children while farmers tool around in their SUVs. But all that misses the mark. US corn exports are up. More countries are buying our corn than ever before. What's more distressing is they make these wild claims in a knowledge vacuum. Maybe because they're holed up somewhere looking for their next cause to sell. Who know. But the corn industry has been a leader in productivity. Yields, bushels of corn per acre, have dramatically increased over the years. All this while also reducing inputs like pesticides. And the future is looking even brighter. Yield projections show staggering productivity gains in the years ahead. Upcoming traits from the major seed companies, both traditional breeding as well as biotechnology, will bring better seeds that manage drought, insect resistance and less dependence upon other inputs like fertilizers. Monsanto's goals for sustainable agriculture with better seeds includes a doubling of yields by 2030. That's a change from 150 bushels per acre to 300 bushels per acre. Pioneer and DuPont have also projected stunning productivity improvements. They recently announced a 40% increase in yield in the next decade. All of this extra corn, on less land, using less inputs, will help to continue to feed the US and the world. 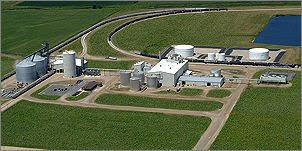 Even when used for some products like ethanol, coproducts will be returned to the feed market. It's food and fuel. So why don't you hear about this from the critics and the media? Because it doesn't sell the "starving children" story. So on Monday, they vowed to increase output a modest additional 200,000 barrels per day. Saudi King Abdullah blamed several factors for higher oil prices, including speculators, increasing consumption in developing economies and high petroleum taxes in consuming countries. So on all of that good news, world oil prices increased anyway. August Light Sweet Crude rose $1.38 and closed at $136.74 a barrel on the New York Mercantile Exchange. But the pain at the pump for American consumers also remains high. According to the US Department of Energy, the average retail price for gasoline is $4.079, up $1.097 from a year ago at this time. The average price for detail this week is $4.648, up 1.813 from a year ago. Quite literally, the oil producing countries have us over a barrel. And a mighty expensive one at that. The recent attacks upon corn-based ethanol are well-funded attacks against all biofuels. Without the first generation, there will be no "second" generation cellulosic ethanol. For these "second-generation" biofuels to become a reality, U.S. policymakers cannot abandon "first-generation" biofuels from corn and soybeans, according to biofuel developers at a recent Congressional hearing. "The launching of the second-generation cellulosic industry will only be possible through first-generation starch-based cash flows, know-how and infrastructure,"
"Regarding the impact of biofuels on world food prices, the current starch ethanol has little impact and production from cellulosic materials will have no impact (if residues of current starch production are utilized) or little impact if dedicated energy crops are used. Many other factors, such as growing demand in developing countries, dietary changes, commodity funds, and energy prices have contributed most. Energy prices have a much bigger impact, as much as 3 times more. Grain production in developing countries is considerably below that if the US and other leading countries. The potential productivity increases by improving agronomics practices in these countries could easily exceed the demands for food even while some less productive land is used for dedicated energy crops." Wooley and other biofuel developers testified on the challenges facing the next wave of renewable fuels during the June 11 House subcommittee hearing. Gas prices jumped up 4 cents to an average price of $4.082 cents per gallon. This is up $1.073 from a year ago at this same time. Diesel prices stayed high at $4.692, up $1.887 per gallon from a year ago at this time. The U.S. Department of Energy (DOE) announced up to $30 million in funding over three years for three Plug-in Hybrid Electric Vehicles (PHEVs) projects. The selected projects will accelerate the development of PHEVs capable of traveling up to 40 miles without recharging, which includes most daily roundtrip commutes and satisfies 70 percent of the average daily travel in the U.S. The goal is to develop PHEVs that can be mass produced, compete effectively in the marketplace, and substantially reduce petroleum consumption by offering fuel flexibility to American consumers. DOE’s funding for these projects will be combined with an industry cost share of 50 percent. General Motors has been selected for negotiation of an award for a project aimed at enhancement of Lithium-Ion battery packs, charging systems, powertrain development, vehicle integration, and vehicle validation. Ford Motor Company has been selected for negotiation of an award for a project to identify a pathway that accelerates commercial mass-production of PHEVs. The project will focus on development of battery systems and deployment of prototype PHEVs. General Electric has been selected for negotiation of an award for a demonstration of PHEVs that relies upon an innovative dual-battery energy storage system capable of 40 miles accumulated electric driving range. The USDA's Food Safety and Inspection Service (FSIS) has issued a letter to Tyson Foods, Inc. rescinding the "Raised Without Antibiotics That Impact Human Antibiotic Resistance" label. FSIS ensures labels are not false and misleading. In December 2007, FSIS approved the qualified raised without antibiotics label based on information provided by Tyson Foods, Inc. However, the FSIS found that Tyson Food routinely used the antibiotic Gentamicin to prevent illness and death in chicks. The action was prompted by protests from other chicken producers crying "foul" over Tyson's claims. 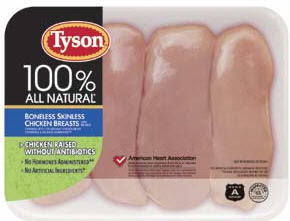 Tyson must stop using the label or any variation by June 18, 2008. Tyson Foods Inc., the second largest U. S. chicken producer, sued the U. S. Department of Agriculture to block a new rule requiring the company to alter its labeling concerning the use of antibiotics. Never one for subtlety, Bill O'Reilly laid it out pretty clear this week how foreign oil is a threat to America. "We have been closely watching this oil chaos, and it is becoming clear that high fuel prices will be the most important issue in the upcoming presidential campaign. Our enemies now realize they can wreck the U.S. economy by creating hysteria in the oil market." A combination of flex-fuel, nuclear, and increased domestic oil production could save this country in 10 years. If we don't do this now, every one of us will suffer. Every one of us." O'Reilly is backing a reduction in the tariffs for imported ethanol which many think could cripple domestic production. But as US biofuel capacity grows and matures, policy makers will have to look at that option. But we should not replace one cartel (OPEC) with another (foreign ethanol). 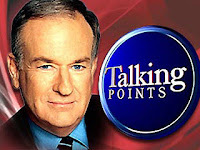 Unlike most other news commentators, O'Reilly has the courage to state the obvious dangers of foreign oil. We wonder when the talking heads at MSNBC, NBC, CBS or ABC will do the same. Read O'Reilly's full essay HERE. Ford Motor Company made history by delivering its first-ever flexible fuel capable plug-in hybrid SUV to the U.S. Department of Energy (DOE). The Ford Escape Plug-in Hybrid, which runs on gasoline or E85, is part of a demonstration fleet Ford is developing in a partnership with Southern California Edison and the Electric Power Research Institute. Advanced testing on the vehicles is underway in California. The Department of Energy will include the Escape Flexible Fuel Plug-in Hybrid in its fleet to showcase the marriage of technologies and obtain real world experience with the vehicle as it continues its support of advanced fuel technologies. The flexible fuel Escape Plug-in Hybrid runs up to 30 miles at speeds less than 40 mph in electric mode until the battery's charge is 70 percent depleted. At higher speeds or when the battery is depleted, the vehicle switches to traditional hybrid mode - a fuel-efficient four-cylinder engine assisted by the lithium ion battery. The vehicle leased to the DOE also is equipped with an innovative interactive vehicle display, which shows the driver how efficiently the vehicle is operating and calculates the fuel savings for each trip . The first of the Escape Plug-in Hybrid SUV was delivered to Southern California Edison in December and road testing has begun. The vehicle delivered to the DOE represents the first flexible fuel Escape Plug-in Hybrid developed as part of the partnership.